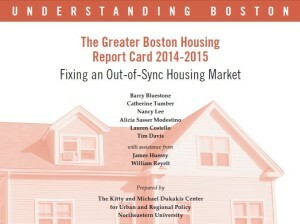 The Dukakis Center for Urban and Regional Policy at Northeastern University recently released its annual Greater Boston Housing Report Card. In the Report Card, the Dukakis Center predicts that high home prices will remain the norm in the Bay State, fueled by a vibrant economy powered by the life sciences, high tech, medical and financial services industries. Also underpinning continued high home prices, the Report Card notes, is the pervasive bias against new home construction in Bay State zoning and permitting practices. An intriguing forecast of an upcoming shift of demand away from single family homes and towards condos and multi unit housing is a highlight of the Report Card. The Dukakis Center ends the Report Card with a call for a radical revision of zoning laws and the permitting process in Massachusetts so as to allow construction of many smaller, less expensive new homes in the Bay State. You can download the full Report by following the hotlink here or in the image above. In the 2009 Report Card, issued during the depths of the Great Recession, the Dukakis Center projected that then-depressed home prices in the Bay State would soar again once the Commonwealth’s economy got back on track. 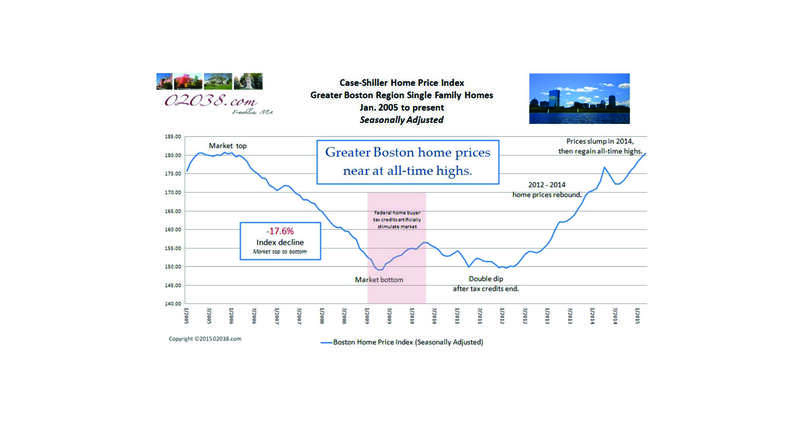 In making this price prediction, the Dukakis Center cited the lack of an adequate supply of housing in Greater Boston as the fundamental underpinning of high home prices in the region. Boy, were they right! 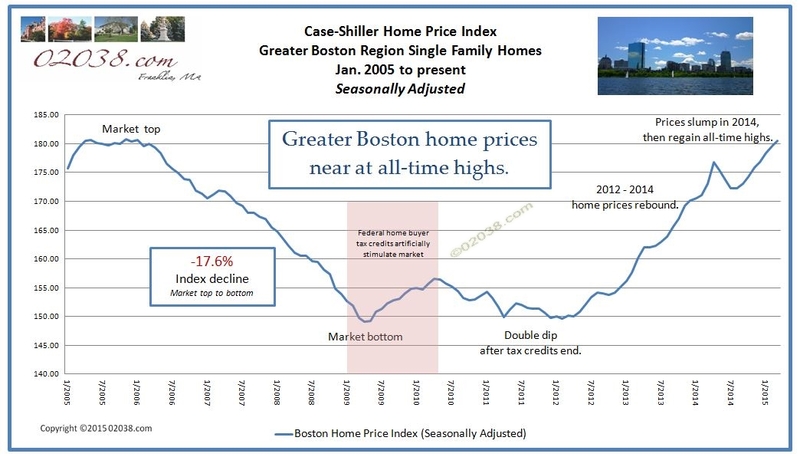 Greater Boston home prices have regained all the ground lost during the economic downturn, according to the most recent edition of the seasonally adjusted Case-Shiller Home Price Index for Boston. The Boston Index has risen 4.8% since last August and now stands above 180 for the first time since March 2006. The Index is just 0.14% below its all time high of 180.56 set in November 2005. High home prices appear likely to remain a fact of life in Massachusetts according to the Dukakis Center, unless a massive number of low cost new homes are built in the Bay State. And that will not happen, the current Report Card says, unless local zoning laws are revised and restrictive permitting processes are eased. In the Report Card, the Dukakis Center notes that, despite the growing economy and the urgent need for more housing in Massachusetts, there is no new home building boom currently underway in the state. The Dukakis Center lays the blame for this on the large lot zoning and anti growth permitting practices that are so prevalent in the Commonwealth. Widespread anti-growth sentiment certainly has strangled the new construction industry here for decades. The chart above (as supplemented by me) clearly shows how the absence of a new home building boom in MA today comes on the heels of an outright collapse in new construction during the Great Recession. 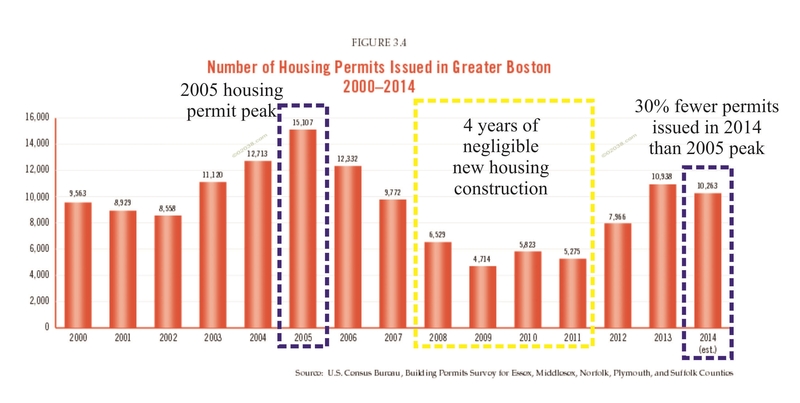 The number of new building permits issued in the Commonwealth peaked in 2005, then went into a prolonged tailspin. 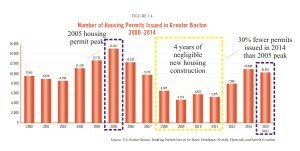 From 2008 through 2011, annual building permit volume in Massachusetts was less than half of what it was in the early 2000s. Permit volume recovered in 2012 and 2013, but notably declined again in 2014. The resulting dearth of recently built homes in Massachusetts is exacerbating the tight supply of homes for sale in Massachusetts and putting additional upwards pressure on home prices. Out with single family homes, in with condos? Not only are not enough new homes being built in Massachusetts, but according to the Dukakis Center, housing demand may be about to undergo a major shift away from large single family homes towards smaller homes, and especially condos. In the Housing Report, the Dukakis Center forecasts that the rate of appreciation of traditional single family homes in Massachusetts may begin to falter in coming years as aging Baby Boomers seek to sell their large homes in favor of condos and multi-unit properties (the latter enabling them to live with members of their extended family). The Dukakis Center also warns that while the large Millennial Generation is entering their home-buying years, this age cohort appears disinterested in the suburban lifestyle so prized by previous generations of MA home buyers. Instead, the Dukakis Center forecasts that Millennials will reject traditional single family homes and will seek condos and multi-family homes in urban settings. For those of you living in the suburbs along the I-495 corridor of Massachusetts, there’s no need to panic and sell your single family colonial homes anytime soon! The I-495 corridor, especially between I-95 and the Mass Pike, has traditionally been a pocket of relative housing affordability in Eastern Massachusetts, offering great schools and an excellent quality of life. Home buyers fleeing the outrageous prices of the inner suburbs should continue to buy in towns such as Foxboro, Mansfield, Wrentham, Franklin, Medway, and Holliston. The I-495 region should continue to do well as a superb place to raise families, no matter how a much of market shift may develop in favor of urban condos and multi-family homes. Given the bias against new construction in Massachusetts, homeowners in the Bay State generally face less competition when they sell. The constricted supply of housing in the state forms a floor supporting Massachusetts home values. 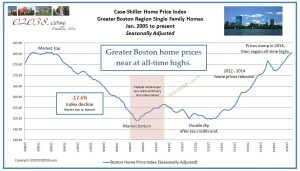 The Massachusetts economy has a bright future so owning a home in MA should be a good investment in coming decades. 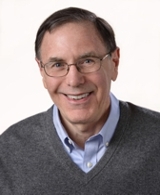 Contact Warren Reynolds for help and advice about buying a home in Massachusetts!